AMD’s new 7th Generation Pro chips have hooks to let PC users easily upgrade to next-generation Zen chips that could come out next year. The new Pro chips, code-named Bristol Ridge, are for business desktops, and will appear in PCs from HP and Lenovo. The ability to easily upgrade is a big deal because it lets users avoid buying new PCs in order to get the Zen chips when they come out. It’ll work like this: users buy a desktop with the new AMD Pro chip, but upgrade to Zen later on by replacing chips in the socket. There’s a lot to like in the new AMD Pro chips, but there’s even more excitement around Zen, which will provide a 40 percent improvement in CPU performance. The new AMD Pro will be compatible with the AM4 socket, which provides the basis for upgrades to Zen. 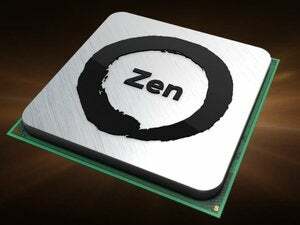 AMD hasn’t said exactly when the Zen-based successor to the 7th Generation Pro will be released, though various product roadmaps issued by the company suggest it could come out a year from now. That said, the upgrade ability offered by the 7th Generation Pro chips opens the door for PC purchases for Zen to start now. Enterprises want to keep PCs for as many years as possible, so the ability to easily upgrade to successor chips is important, said John Hampton, AMD’s director of commercial business development. 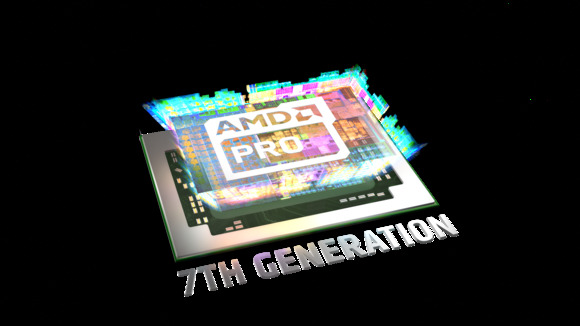 The 7th Generation Pro chips offer many advantages over their predecessors. The chips run 4K video and consume less power compared to predecessors, while boosting application performance. A 65-watt Pro chip consumes 32 percent less power than earlier generations of the AMD Pro, but speeds up CPU performance by 14 percent and graphics by 22 percent. 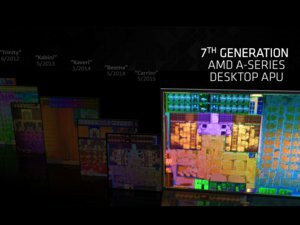 The new lineup includes seven AMD A12, A10, A8 and A6 Pro chips. They will be used in HP’s Elitedesk 705 G3 desktop, which will be available in tower PC and mini-desktop models. The chip will support Windows 10 and Linux OSes. Those who prefer Windows 7 may need to buy older AMD Pro chips, which the company will still sell. The 7th Generation Pro chips support DDR4 memory, NVMe SSD storage, USB 3.1, the USB Type-C slot and other new technologies. Hampton also highlighted an integrated “secure processor” that will secure the BIOS, firmware and personal data on a PC. The AMD Pro chips are also designed to work with Windows Hello for multifactor authentication and biometric logins for PCs. AMD’s Pro chips are comparable to Intel’s vPro chips, which are popular in business desktops. The Pro chips have remote management and security features based on the DASH (Desktop and Mobile Architecture for System Hardware) standard, which is widely used in servers. DASH shares many features with vPro, such as the ability to wipe out or shut down remote PCs that may have been stolen. But DASH isn’t widely used yet, with Intel’s vPro dominating the business PC market. The highest-performing quad-core Pro A12-9800 draws 65 watts of power and has a clock speed of 4.2GHz. It includes an eight-core Radeon R7 integrated GPU. AMD compares the chip to an Intel Core i5 Skylake chip. The lowest performing chip is the dual-core A6-9500E, which has a maximum frequency of 3.4GHz and draws 35 watts of power. It has a Radeon R5 GPU with four cores.